“The passage of Senate Bill 1 is an example of how Harrisburg can come together to make progress on issues that matter to the people of Pennsylvania. The collaborative and cooperative process that led to consensus is a byproduct of both Republicans and Democrats working with my administration to achieve significant reform. 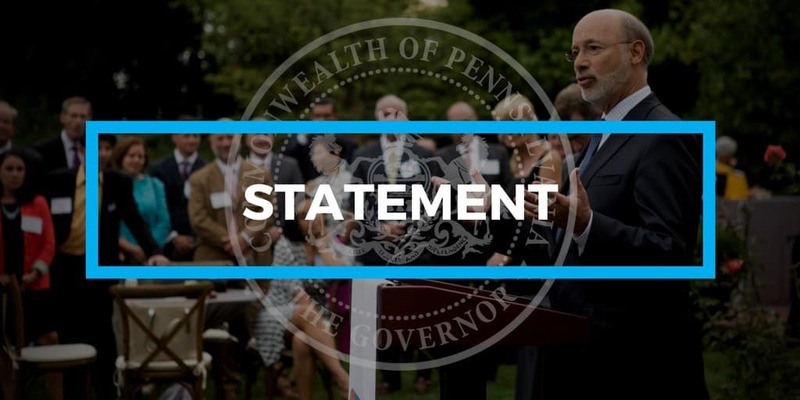 “This pension compromise achieves my foremost goals: continuing to pay down our debt, reducing Wall Street fees, shifting risk away from taxpayers, and providing workers with a fair retirement benefit, while providing long-term relief to school districts. It achieves the Governor’s foremost goals: continuing to pay down our debt, reducing Wall Street fees, and shifting risk away from taxpayers, all while providing workers with a fair retirement benefit. The new plan achieves these priorities by preserving a Defined Benefit pension, while also introducing a full Defined Contribution – 401(k) style plan option for new employees. It will save billions of dollars on the unfunded liability and will charge both retirement systems to reduce their Wall Street management fees by a combined $3 billion dollars. Achieving this compromise will also provide long-term relief to school districts, ensuring more future state dollars go directly into the classroom.